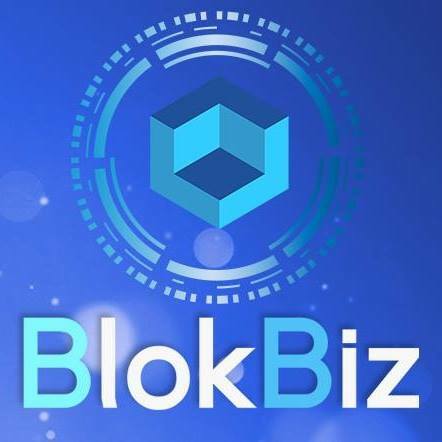 BlokBiz aims to bring reliability and transparency to the ICO market by filtering out scams, money laundering, and black market financing through the power of blockchain. Due to increasing interest in the crypto market, the ICO space keeps getting bigger and bigger. Unfortunately, only about two percent of all ICOs have been successful while the remainder are made up of projects that are either strategically weak or scams designed to trick investors. It has been very difficult for potential investors to identify genuine ICOs in which to invest, especially if there is a large gap in ICO and crypto investing knowledge. BlokBiz wants to help, and their platform aims to verify the reliability of ICOs before investors put their money into projects. Some unique features of their platform include the requirement for ICOs to upload certificates of incorporation, a shareholder’s register, organizational charts, and cash flow projections to protect the security of their investors. BlokBiz will also assign a dedicated project manager to keep close contact with the ICO team and inform investors on its progress. Furthermore, BlokBiz’s website will leverage AI to help investors monitor and analyze the crypto market. While the market does need to filter out fraudulent ICOs, we are not confident that BlokBiz is the solution. The BlokBiz team is very young and lacks experience. In fact, much of the team is still in school. This would not be the worst thing if they had a solid network to support them, but the team lacks advisors or partners. Furthermore, the website is lackluster and the whitepaper is sparse. While they are leveraging the ETH platform, there is very little technical detail in their whitepaper about their roadmap. At the time of writing, the roadmap link on the website does not work. At the end of the day, the success of the BlokBiz platform will be contingent upon the demand for ICO investments. This is a very saturated space, and BlokBiz does not surpass the competition with their platform or team. How to invest: For full instructions on the purchasing process for XBZ, visit the main site and clock the “Buy XBZ” button. Eligibility: Restricted countries include the U.S. Problem addressed/solved: The problems that exist in the ICO market are relatively well-known. There are plenty of projects that are scams and some that are simply pump and dump schemes. It is difficult to know which is a viable or non-viable project. Therefore, this type of market is dangerous and unreliable. Target customers/customer/ segments/verticals: The target audience for BlokBiz are active ICO investors who are looking for safe, verified, and legitimate projects. ICO projects will also find the BlokBiz platform useful as an additional way for investors to find them and see that they’re a verified group. Value creation: BlokBiz is a secured and monitored crowdfunding portal. It is an intermediary that combines blockchain technology with the most secure compliance methods used by big commercial banks. BlokBiz aims to give solutions to current ICO and cryptocurrency investment issues. The platform is designed to filter financial criminal activities such as scam ICOs, money laundering, terrorism and black market financing, thus ensuring a safe and honest investing process. Competition: We’ve seen these types of projects before here at Bitcoin Market Journal. Many people in the ICO space have recognized this potential market for a platform that offers guaranteed/verified projects for those who want to invest in ICOs without having to worry about scams. BlokBiz will definitely hit some competition in the form of other blockchain startups who want to attack this untapped market. Market size/potential: The market for this project is massive. Although the general interest in ICOs has declined since January (partly due to the scams and fake projects), BlokBiz is still working on a much needed solution to a problem that’s been plaguing the industry since the its early beginnings. Regulatory risks: There are high risks here.This project is working directly with the ICO market. If ICOs get banned or have even more restrictions than they already do, BlokBiz will not have much with which to work since their success is completely contingent upon the ICO market’s ability to thrive. 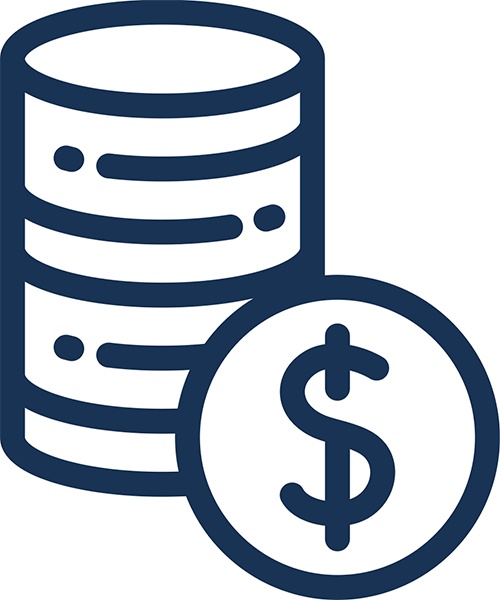 Investor value: Ownership of XBZ tokens will reduce user transaction fees on the BlokBiz platform. Investors have the opportunity to get these tokens at a very reasonable price during the pre-sale and the soft cap period, and the tokens will be available during the operation of BlokBiz platform at a higher price. Disclosures: BlokBiz fails to impress with their disclosures, which is ironic considering their project is all about transparent and honest ICOs. They have a decent 35 page whitepaper, but their roadmap is absolutely abysmal. Having said that, they do have a few members of the team making videos for their YouTube page to discuss the project and upcoming events. Token distribution: 85% ICO, 7.5% BlokBix team, and 7.5% Angels & Advisors. Use of proceeds: BlokBiz does not provide a percentage breakdown of the funding allocation, but instead say that security development, equipment, team expansion, and marketing will be the primary focus once the soft cap is reached. If the hard cap is hit, then they’ll turn their attention toward capacity, service areas, and developing future projects. Track record: It’s tough to give an accurate judgment on this team as there isn’t much information available on their LinkedIn profiles or BlokBiz bios. The team as a whole accounts for very few LinkedIn connections, with most members below 200 and some below 30 connections. They’re certainly early in their professional careers and have much to prove with this project. The most experienced team member is Luigi Ferramenti. He’s worked as a property/ project manager and will serve as the Chief Business Officer. Integrity: Again, it’s difficult to decipher the integrity of this team as they don’t offer much past experience to put investor worries to rest. Hopefully, their overarching goal of providing investors with safe ICO options will translate to their project as well. MVP: BlokBiz does not have an MVP. They expect the platform to go live in Q1 of 2019. Token use case: The main purpose of the token sale is to accelerate the development procedures of the project so operations can start earlier. Additionally, holders of the token will only be subject to a .5% fee while transacting on the platform versus the typical 1% fee. Value-added: The token doesn’t seem to add much value to the platform other than the 50% discount on transaction fees. Having said that, those investors who buy XBZ tokens during the pre-sale period will receive lifetime premium membership on the BlokBiz website. That means they will be notified first about upcoming ICOs and will be able to invest on the platform with the reduced 0.5% transaction fee even if they don’t have XBZ tokens on their wallet. Decentralization: The BlokBiz vision is to avoid fraudulent ICOs by using a combination of well-tried and globally accepted methods and the new decentralized technology. Technical difficulty/investment expertise needed: BlokBiz has a simple and clear mission: to vet and thoroughly check the legitimacy of ICO projects and then list them on their platform for investors. Almost everybody knows the ICO realm can be full of scams, so a project like this should be relevant for active investors and novices alike. Halo effect: BlokBiz has partners for compliance purposes but lacks the big names that might interest tentative investors. Buzz: BlokBiz has 307 Facebook, 4,000 Telegram, and 1,800 Twitter followers. They’re very active on their Twitter and Facebook accounts, and even though they have a low following, the engagement is reputable. All of their accounts were created in August 2018, so the low following is not as much of a red flag as one might initially think.